Not as strong as the first, and I found the plot a little hard to believe in spots (especially how easily certain tricks were to pull off), as well as some of the characters a bit flat. Some plots are brought up and then forgotten (such as the native species on the colony). But it's a compelling read as Scalzi's enthusiasm for this universe and these characters is infectious. Overall, very engaging, with just enough hard science to make it true SF rather than just a space opera. 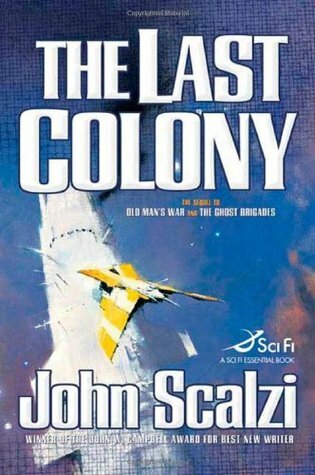 Sign into Goodreads to see if any of your friends have read The Last Colony.